With the holidays right around the corner, cookies, cakes, and pies are everywhere. No matter how hard you try to stay on a healthy path, it can be nearly impossible to avoid these sweet temptations. Luckily, you can avoid the high-calorie desserts, and still enjoy the season, by making your own healthy treats. Made with coconut whey protein and shredded coconut, they’re naturally low in sugar. 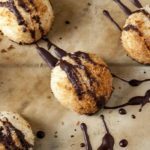 These coconut macaroons are bite-sized balls of goodness that will satisfy your sweet tooth without sacrificing your waistline. Pro tip: Coconut whey protein can be found at health food stores or online. 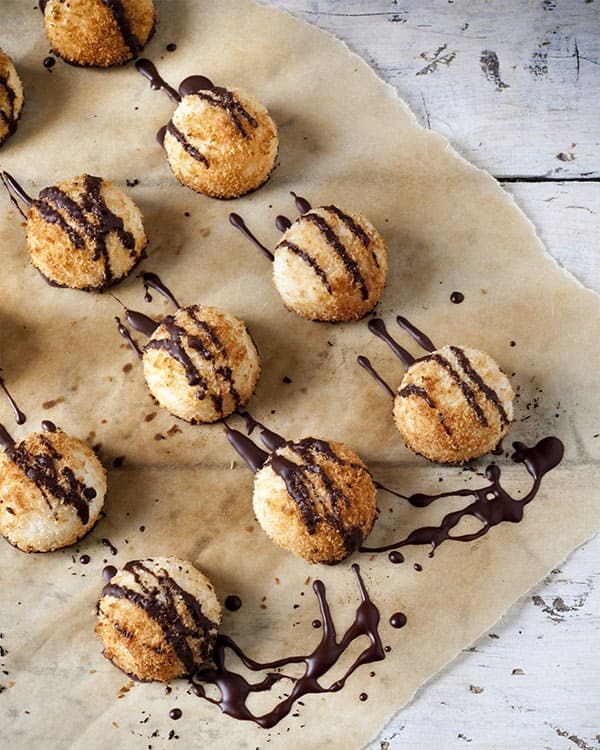 These simple Coconut Macaroons feature wholesome ingredients like unsweetened shredded coconut and dark chocolate morsels. Place egg whites in a clean medium mixing bowl; beat until stiff peaks are formed. Gently fold in whey protein and shredded coconut. Drop by rounded Tbsp. onto prepared baking sheet. Bake for 13 to 15 minutes or until browned; cool. Melt chocolate in a small microwaveble bowl for 30 seconds at 50% heat. Stir and repeat until nibs melt. 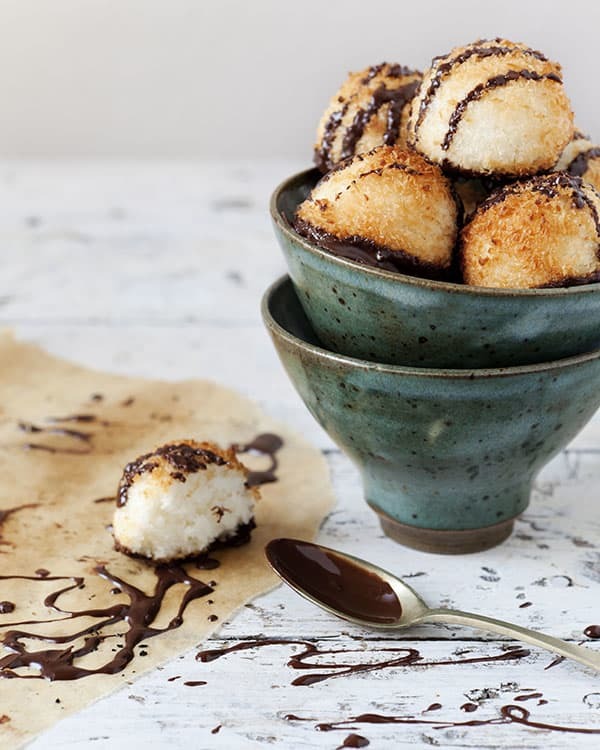 Drizzle melted chocolate over cooled macaroons.